Uplifting and comforting, our beautiful Sunrise Daisy Wreath™ conveys your heartfelt sympathies. This is the perfect sympathy gift for celebrating a life that always brought sunshine to others. Sweet yellow daisies, purple stock and lavender roses harmonize to create this thoughtful arrangement that is sure to be remembered. 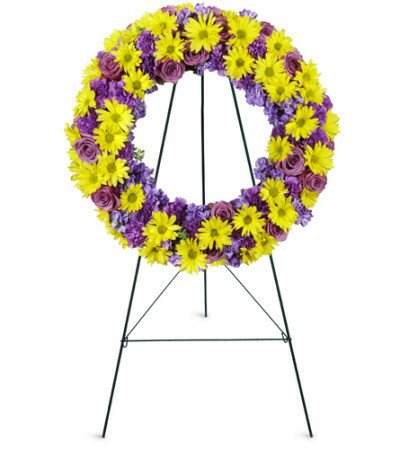 Bright yellow daisies, jewel toned purple stock, and dusky lavender roses are arranged into a classic funeral wreath that is perfect for any funeral service or wake. 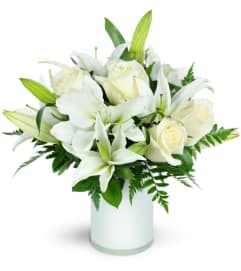 Thank you, Patty's Flowers, for the absolutely gorgeous floral arrangement and beautiful vase that were ordered as a last minute birthday gift, and delivered the same day. 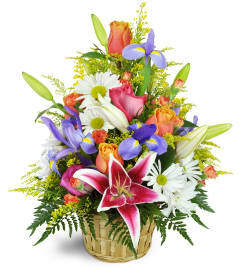 The flowers are so beautiful, and the birthday girl was very surprised and loves them. Thank you....we will definitely use your services again. Great service and prompt delivery. Beautiful work, the family appreciated the wonderful gesture from her co-workers. 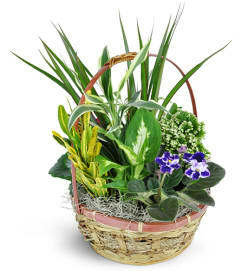 Patty's Flowers of Davie is a Lovingly Florist in Davie. Buying local matters. Discover how Lovingly supports local florists. Copyrighted images herein are used with permission by Patty's Flowers of Davie.